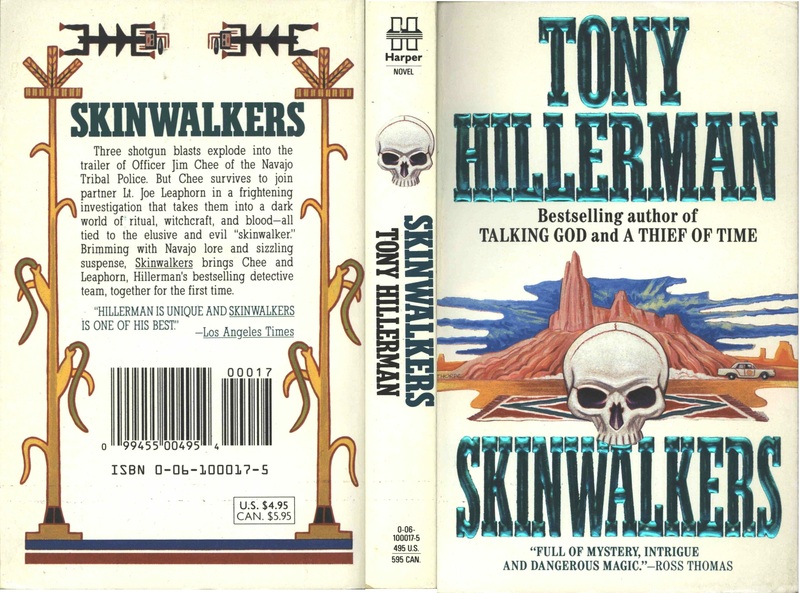 This is the full and detailed views of the paperback edition of Tony Hillerman's Skinwalkers, the seventh book in his Navajo Mystery Series. This edition was published by HarperPaperbacks, a division of Harper Collins Publishers in New York. 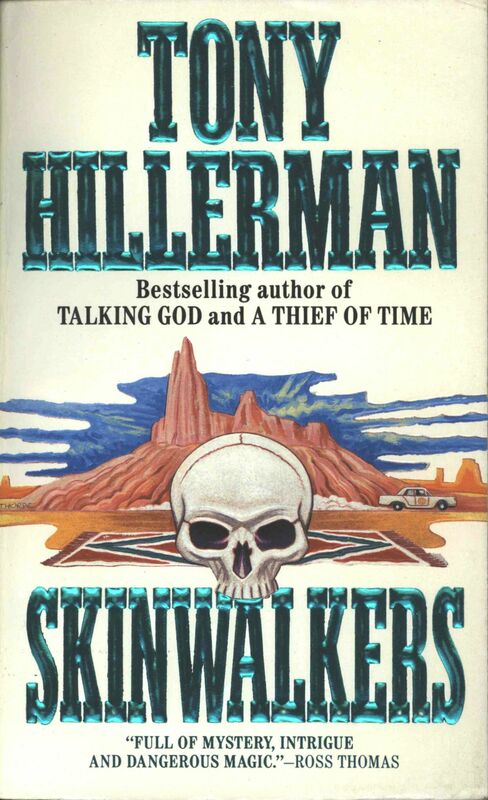 Design and Photography Credits: The cover was designed by Peter Thorpe, who has designed and illustrated over 40 Hillerman editions and whose work has become the iconic imagery associated with Hillerman's novels. The cover repeats the elements of the mountain with the skull in front and a police care racing off to the right from the first edition cover art. This edition adds a Navajo rug behind and beneath the skull and does not include a border.